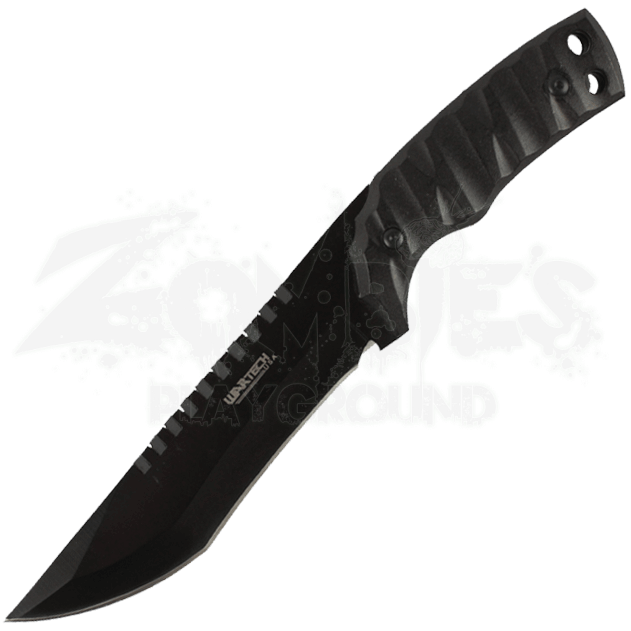 Rely on the durability and strength of the Fixed Blade Survival Knife to assist in everyday survival tasks. For daily projects at home or during an adventure into the great outdoors, you will make good use of this all-purpose blade. 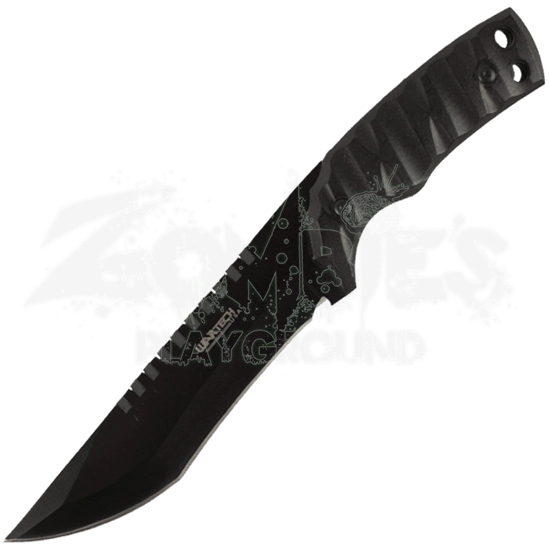 A black finish covers the stainless steel blade while serrations run down the center of the spine. The black ABS handle has an etched, stone-like texture, which contributes to a stronger, steadier grip. A nylon sheath is included for easy carry and storage.